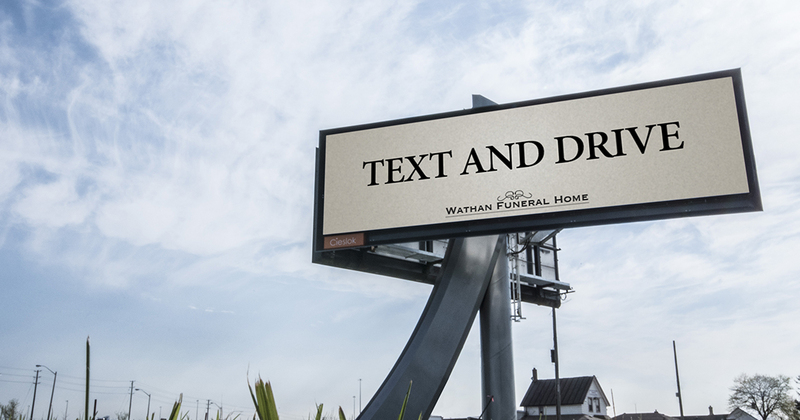 This billboard, which went up this week next to the Gardiner Expressway in Toronto, is provocative in the extreme—blatantly urging drivers to text and drive as a way of drumming up business for the advertiser, Wathan Funeral Home. But there's a method to the madness. 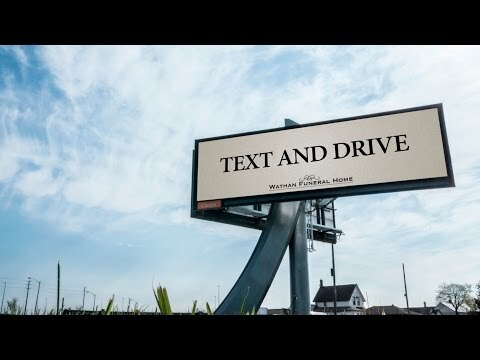 Cieslok Media says the ad is designed to get people thinking about the real consequences of texting and driving. "With an out-of-home inventory situated in high traffic, high-impact locations, it made sense to leverage our digital sign on the Gardiner to amplify this message for the general public good," says Cieslok president and CEO Jörg Cieslok. "People see and hear the words 'Don't text and drive' almost every day, but the number of people doing it keeps going up and up," says Mylene Savoie, managing director of John St. Montreal. "So we wanted to think of a different way of saying it that would make people think about the real consequences. Which is where 'Text and drive' came from." The only downside to this concept, really, is that reading small print on billboards can be a little distracting, too.